The High School Parent-Teacher Conference Days are an excellent opportunity to visit campus and discuss your student’s academic progress with teachers. Conferences will take place on Monday, October 22 from 3:30 p.m. to 5:00 p.m. and Tuesday, October 23 from 8:00 a.m. to 4:00 p.m. Mid-semester progress reports will be posted on Sunday October 21 at 4:00pm. If a teacher’s schedule is fully booked for Tuesday’s conferences, you are to email that teacher directly to schedule a conference at another time and date. Also, if you won’t be available on the parent-teacher conference day, but want to visit specific teachers, please contact each teacher directly. Instructions for the signup will be released next week. End of Spirit Week Ice Cream and Donuts, 3:15 p.m.
Next Monday and Tuesday, counselors will run Freshman Seminar sessions about grades, goals, and getting organized for a successful semester of high school. If you wish to sit for the October ACT and you haven't registered yet, it is time to do so. Registration deadline is Friday, September 28. Our test center code is 10878 which you will need in the registration process. More than 80 universities will be visiting CAC in October. The largest event will be on the morning of Thursday 25 Oct 2018. In addition to that large fair, several universities will be visiting school during lunch and after school. You can find more details below. ***Student and parent ambassadors are needed to help at the large university fair the morning of Thursday 25 October. Please email Stephanie Barker (sbarker@cacegypt.org) if you are available! As of Sunday morning, September 30, students who are missing health forms or the online annual student information form, will not be permitted to attend classes until the records are up to date. Please complete the online Student Information Forms through Skyward. For instructions, please see the email sent to you previously from the Information Technology Department. Click here for the online tutorial. The next Booster Club meeting with be in the library at 11am on Monday, October 22nd. Please join us! What a great first Parent Trip exploring the hidden gems and highlights of Maadi! 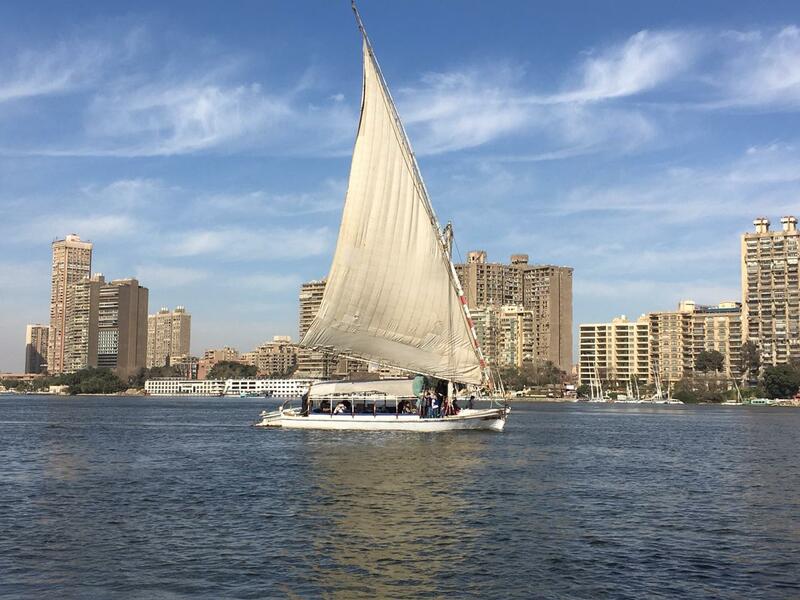 New families—don’t forget to sign up for the felucca! Monday, Oct 1st is Pizza Day!!! Thurs, Oct 4th—8 am—Gala Planning Meeting in the PTO Room (room 626, 2nd floor Admin building). Come learn how you can help out!